Product prices and availability are accurate as of 2019-04-18 07:29:33 EDT and are subject to change. Any price and availability information displayed on http://www.amazon.com/ at the time of purchase will apply to the purchase of this product. Set includes everything you will need to create beautiful Cake Pops. 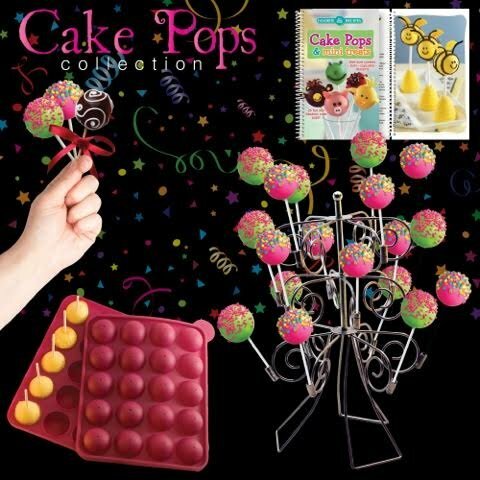 Cake Pops & Mini Treats is packed with great ideas for adding flair to parties or just making everyday snacks special. 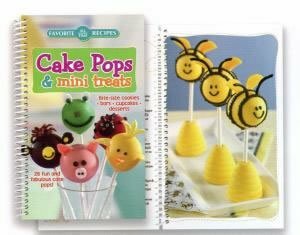 Critter Pops, Busy Bee, Funky Monkeys, and Holiday themed pops will impress your guest. Approx. 5" x 8 1/4"; spiral bound; 80 pages. The mold is an easy to use pan with sticks makes 20 pops. Jus decorate and enjoy. Dishwasher safe. Safe to 350 degrees. 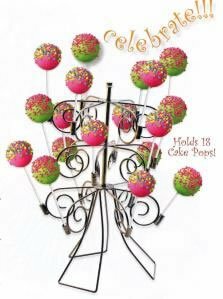 Silicone 9" x 7"Display your whimsical cake pops on this metal stand. 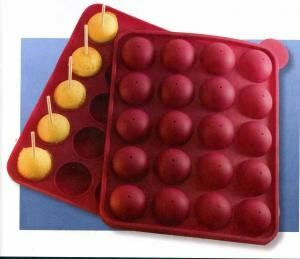 Holds 18 cake pops. 9.5"H x 4.5"dia.